Are you broken? Are you experiencing tragedy in your life? Are you facing an uphill climb? Or do you know someone who is experiencing tough times? Well this book is just the book needed to encourage, uplife and give you hope to face the challenges facing you or them today. 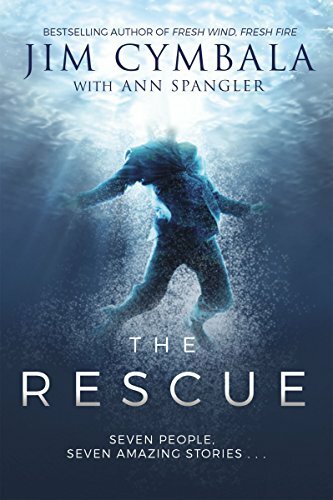 Jim Cymbala in The Rescue tells the true stories of seven people show come from very different backgrounds facing very different circumstances. But something unexpected happens and it changes their lives forever for the good. These stories are excellent and show true experiences that could happen to any of us, the people are a flight attendant, a teenage mom, homeless man, wall street broker, etc. You can put yourself in almost any of their stories and relate. I really enjoyed the outcomes of the stories and they gave me joy.